Control and kill a variety of flies on your horse, pony, or foal. Fly repellent may also be used to control flies in the barn or stable. Effectively kills pests and helps to prevent reinfestation. Available in two sizes. 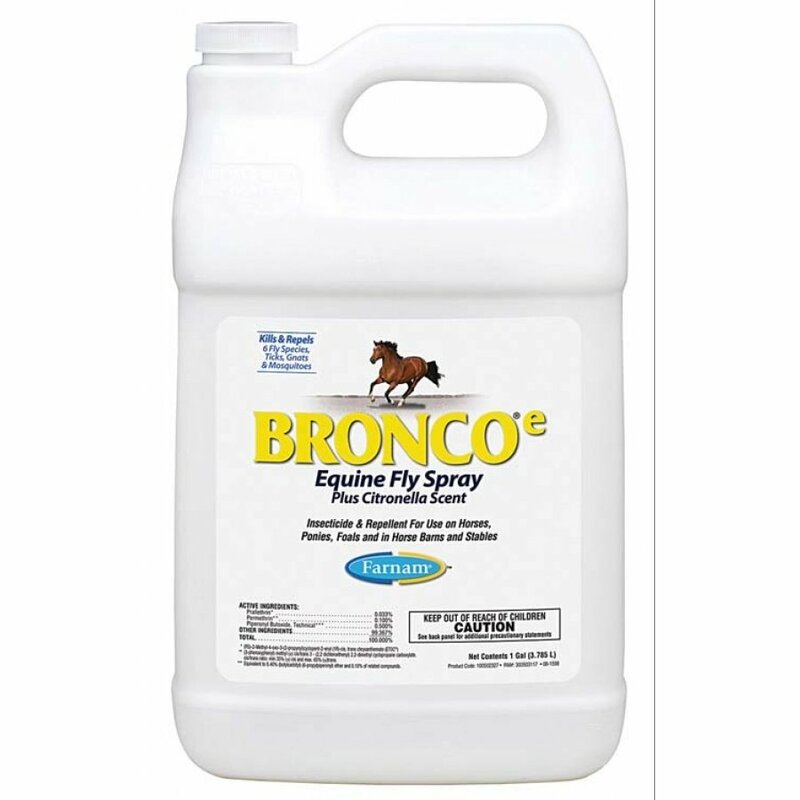 Bronco E Equine Fly Spray Plus Citronella Scent has different options and/or variations, please choose below. 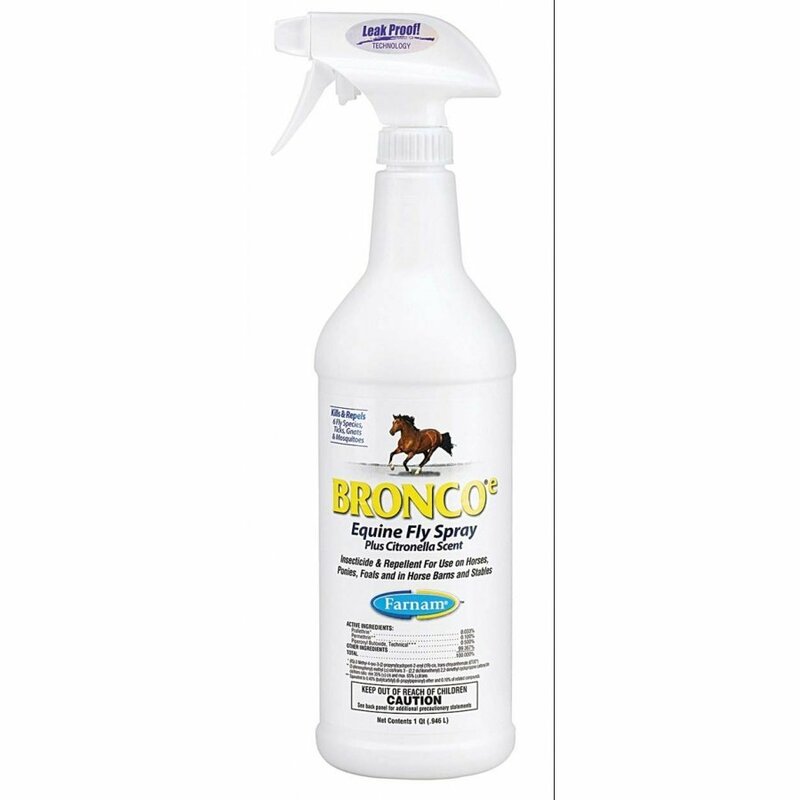 The Bronco e Equine Fly Spray Plus Citronella Scent is made to kill and repel a variety of pests including: stable flies, horse flies, face flies, deer flies, house flies, horn flies, mosquitoes, gnats, ticks (including Deer Ticks), fleas, chiggers and lice. May be used on horses, ponies, and foals and can also be used in the barn or stable. Spray has a great citronella scent. Choose 32 oz. or gallon.